Heineken has become the latest brand to tap tech firms for help, launching the Frontier accelerator to fund and partner with companies that can make beer shopping more fun. Heineken is offering "at least" €50,000 (£40,000) to tech firms that successfully pitch ideas for one of four briefs - making drinking in moderation cool; innovative music events; a better beer experience at bars, and informed shopping choices. And unlike other brand incubators and accelerators, Heineken isn't just looking at start-ups. 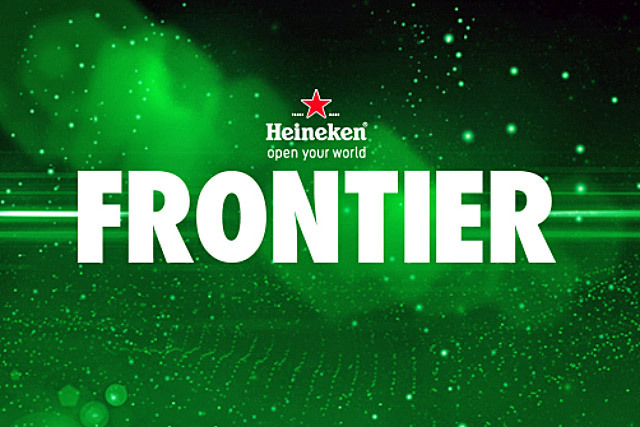 Gianluca Di Tondo, Heineken's senior global brand director, said: "What sets Frontier apart from other accelerators is we aren’t just targeting start-ups – we’re looking to partner with technology companies at all ends of the innovation ecosystem. For us it’s all about the ‘idea’, no matter how small or big that idea may be or who surfaces it." Companies will need to pitch ideas by 12 November via the Frontier site, with shortlisted entrants set to present their ideas at an event in January next year. Winning ideas will net the initial funding, with an eye to further investment down the line. Heineken previously unveiled the "innovators' brewhouse", an open collaboration initiative that invites customers, entrepreneurs and employees to submit ideas. Frontier will be more "in-depth", since it will involve helping companies scale up. The accelerator was created in collaboration with R/GA London. Diageo last month unveiled its own accelerator, Diageo Technology Ventures, with two creative briefs asking start-ups to tackle irresponsible drinking and the theft of alcohol. How has Strongbow's move to its 'bittersweet' brand strategy fared on social platforms?